Early evening on our deck this time of year is a special time. 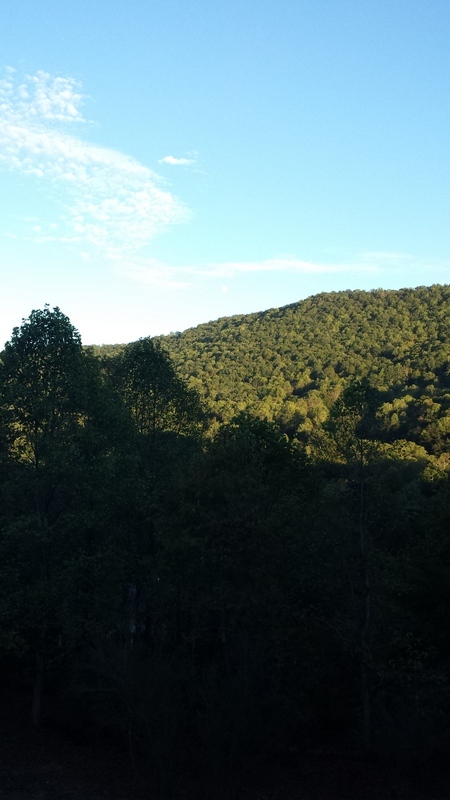 The sun sets in the front of our house, and we are able to enjoy the changing light on the ridge behind us. One evening I heard some rustling noises below me and looked down to see what was going on. Two fawns were playing tag with some wild turkeys at the edge of our woods. The turkeys were not amused!